The mercury level dropped to 8.6C in Baida Al Gaa, located in southern Qatar, on Sunday as cold conditions prevailed around the country. This was tweeted by the Qatar Met department Sunday morning, taking note of the impact of strong northwesterly winds. 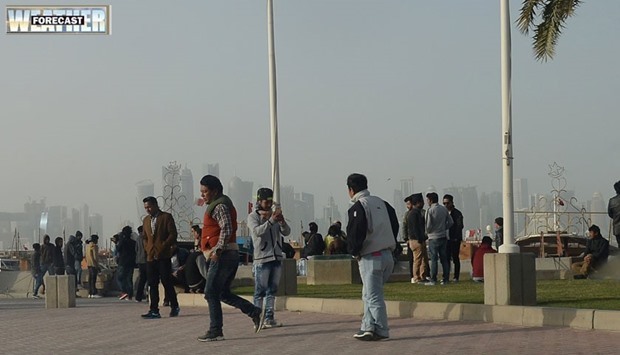 People in Doha and other places, including children headed to school, were seen wrapped in woolens as they went about their work after waking up to a chilly morning. The cold conditions are expected to continue Monday as well, weather charts show. A number of places recorded minimum temperatures hovering around the 10C mark Sunday. These include Karana at 9C, Al Khor, Batna and Turayna at 10C and Sheehaniyah, Abu Samra and Jumayliyah at 11C. 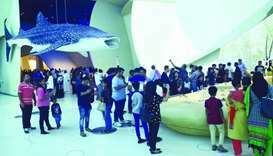 These were closely followed by the Qatar University area, Wakrah and Mesaieed at 12C, Abu Hamour, Ghuwairiyah and Umm Bab at 13C, and Doha (international airport area), Hamad International Airport and Dukhan at 14C. 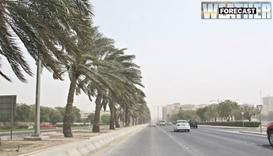 Shehaimiya recorded a low of 15C and Ruwais 16C. 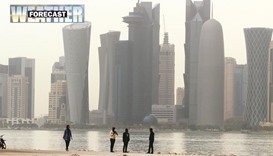 The maximum, on the other hand, was 20C in Doha, the Qatar University area, Al Khor, Mesaieed and Abu Hamour. The lowest maximum temperature was recorded in Dukhan and Umm Bab at 16C, followed by Abu Samra, Shehaimiya and Ruwais at 17C. Monday’s forecast says strong winds and high seas are expected in offshore areas until the evening. Northwesterly winds will blow at a speed of 8-18 knots inshore, going up to 22 knots occasionally. Offshore, the wind speed (northwesterly) will be 15-25 knots, reaching a high of 35 knots. It will be relatively cold during the day and some clouds are expected in inshore areas. Cold conditions will prevail at night, too. The weather report also says it will be partly cloudy at times in offshore areas, with the sea level rising to 12ft before falling to 3-5ft by the evening. The wind speed (northwesterly) may go up to 18 knots in some inshore areas in the early hours of the day. Offshore, it may reach a high of 32 knots before decreasing in the evening. Monday, the minimum temperature is expected to be 10C in Al Khor and Abu Samra, 12C in Mesaieed and Wakrah, 14C in Doha and Dukhan, and 16C in Ruwais. 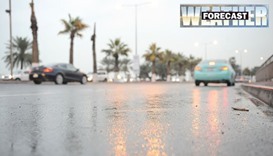 The maximum temperature will range from 16C in Dukhan to 21C in Doha and Al Khor.